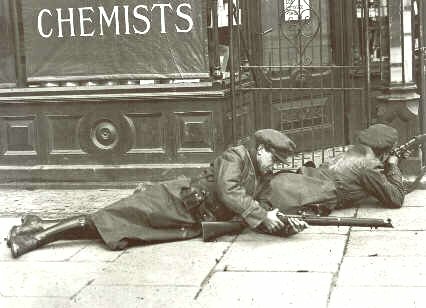 The Irish Civil War, 1922-23, was an important event in modern Irish history – it saw the establishment of the southern Irish state and also the fracturing of a previously unified nationalist movement. The consequences of this political cleavage, in the form of Ireland’s two main political parties, are of course with us still. However, what actually happened in the Civil War, as opposed to its causes and the motivation and ideology of those involved, has been relatively little studied. Part of the reason for this is simply distaste at Irish nationalists killing each other. The bloody but also often inept and chaotic details of the Civil War leave little room for mythologizing –on either side. And yet the early engagements of the Civil War are, in a purely military sense, far more significant than those of the War of Independence (1919-1921). In that conflict, the disparity in strength between the IRA guerrillas and the British was so vast that very little was decided by actual force of arms. The nature of IRA violence was generally small in scale and intended not to take territory or to eliminate the British forces, but to apply political pressure on the British government. The Civil War, at least in its early months, was very different. The Provisional Government of the Irish Free State found its authority challenged by a rival armed force, in the Anti-Treaty IRA, that occupied most of its southern and western territory. So in the summer of 1922, the Pro-Treaty forces were tasked with physically wresting much of southern and western Ireland from what they termed “The Irregulars”. This was not symbolic violence, or the use of terror to subdue political opponents (though that would come later in the Civil War) but conventional armed combat between two fairly evenly matched forces. The fighting of late June to August 1922 is the only time when anything like this occurred in 20th century Ireland and it is the subject of a new series from Mercier Press on the Military History of the Irish Civil War, the first two of whose titles we review here. 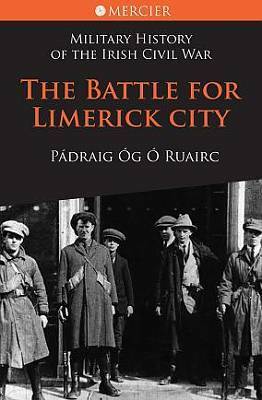 The Battle for Limerick City by Padraig Og O Ruairc. Mercier 2010. In the foreword to this book, the series editor, Gabriel Doherty calls for, “dispassionate analysis of causes, course and consequences of [the war’s] military aspects”. Despite a lively narrative and use of diverse contemporary accounts, I regret to say that this book does not provide this. There is too little analysis in this volume and too much partisan championing of the Anti-Treaty side. For example, the author uses the republican terminology of the time to describe the belligerents. The Anti-Treaty side are always, ‘the IRA’ and the Pro-Treaty side are the ‘Free State army’. Moreover, the tone is marked by political judgments. The Catholic Church’s Pro-Treaty stance, for instance is condemned on the grounds that it had not supported the IRA during the War of Independence, “when the majority of people wanted the republic!”. In fact the Catholic Church’s stance was highly ambivalent during the earlier conflict. Some Bishops condemned the IRA campaign but others tacitly supported it – notably Bishop Fogarty of Killaloe. There is too little analysis in this volume and too much partisan championing of the Anti-Treaty side. Moreover, while the right of the Church to interfere in politics in the Civil War may fairly be questioned, their support for the Provisional Government during the War was based on its victory in the June 1922 General Election – an event that goes entirely unmentioned in this book. Another problematic point comes from a discussion of the Northern IRA, who, it is stated, were, “unable to mount more than token resistance to either unionist or Free State governments”. In fact, with the exception of Joe McKelvey, who resigned his command of the 1st Northern Division to join the Anti-Treaty forces in the Four Courts, the Northern IRA was almost wholly Pro-Treaty as a result of its close ties to Michael Collins – their main source of arms and funds. Around 800 IRA men from the Six Counties came south to escape internment in June 1922 and several hundred, under Roger McCorley, participated in the Free State offensive of July 1922. The republican split in 1922 was very different from that of 1969 and an account of the Civil War is not aided by grafting later attitudes onto it. There is an interesting chronicle in O Ruairc’s book of how tensions arose in Limerick over the rival pro and anti Treaty forces’ attempts to occupy barracks in the wake of the British withdrawal. However, it would have been nice to see more attention given to why the republicans saw the Free State as an unacceptable compromise. Instead the Anti-Treaty position is simply narrated rather uncritically. Connie McNamara, for instance, after leading the republican defence of the Strand barracks in Limerick, refused a commission in the Free State Army, “as could be expected from a man who had fought such dogged resistance for his principles”. What were his principles? The book would have benefited from a closer look at such motivations. Similarly, while we are told on a number of occasions about the interventions of the Sinn Fein mayor of Limerick to try to end the fighting and evacuate civilians, the political context in the city is not explained in great detail. All of this, of course, distracts from the point of the book, which is to narrate the military struggle for Limerick city, which took place from the 11th to the 20th of July, 1922. Fighting had almost broken out in March 1922 in the city when hundreds of fighters from outside were drafted into the city in a contest over which side would occupy the barracks there. After a long and tortuous stand-off, in which Liam Lynch agreed a truce with the Pro-Treaty forces in the city, fighting finally broke out after the hostilities in Dublin, that had started with the Provisional Government’s attack on the Four Courts, had finished in victory for the Provisional Government. From the start, the Free State had the advantage, with armoured cars and more troops but the deciding factor came when a field gun arrived from Dublin, which allowed them to blast breaches in the republican-held barracks, forcing the surrender of one and the evacuation of another. The republicans then burned their positions and retreated south. The fighting cost the lives of some 22 people – 5 Anti-Treaty fighters, 6 Pro-Treaty and 11 civilians. The above is narrated fairly clearly in O Ruairc’s account. There are also interesting accounts of the experiences of civilians, who fled the city en masse to the surrounding countryside and who returned to loot what they could almost as soon as fighting had died down. Another interesting detail is that damage to property in the ten days was restricted to the areas around the barracks – indicating the small-scale and localised nature of the fighting. However, the book suffers from a general lack of military analysis. For instance, the respective numerical strengths of either side are not given, nor is it outlined what the military strategy of either side was. The latter may be understandable, given that the engagement was effectively the clash of two hastily assembled and unevenly trained militias – coordinating large bodies of troops was largely beyond the capability of either side. Unfortunately, there is no real attempt to explain this either. Instead we are told that the republican front was, “a strongly defended frontier stretching all the way from Limerick to Waterford”. In fact the ramshackle Free State forces rolled over this “line” (which existed mostly in the head of Anti-Treaty Chief of Staff Liam Lynch) with few casualties in July-August 1922. Were I to nitpick, I may also question the casualty figures given for the Civil War as a whole. No figure has ever been established before for the conflict’s victims and while O Ruairc’s figure of 1,500 deaths seems reasonable, it is not supported by any footnotes. Moreover, his total of 400 civilian deaths seems too high and his toll of 350 dead Anti-Treaty fighters far too low. As an account of the military or political aspects of the Irish Civil War, this book is a somewhat mixed bag. 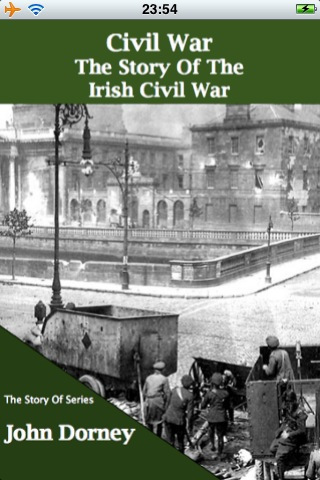 While it provides a reasonably comprehensive account of the fighting in Limerick City in July 1922, it largely fails to explain this episode in either strategic, tactical or political terms. 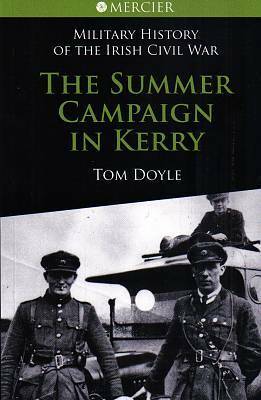 The Summer Campaigns in Kerry by Tom Doyle, Mercier 2010. The second book in the series concerns the Free State forces’ occupation of Kerry in August-September 1922. Doyle has already written a book on the civil war in Kerry and this slim but detailed volume shows his familiarity with the topic. This book is a very good “micro” look at what combat in the Civil War really meant on the ground. Kerry will always be synonymous with the Civil War, being the scene of determined republican resistance and also, particularly in March 1923, some gruesome reprisals on the part of the occupying Free State troops. Anti-Treaty veterans’ accounts of the Civil War often claim that their hearts were never really in the internecine struggle and that they were forced into resistance by the Provisional Government’s attack on the Four Courts in June 1922. Doyle demonstrates, that in Kerry at least, this is unsustainable. In the whole of the 1920 and 1921, 33 RIC men lost their lives in Kerry, while in August and September of 1922 alone, 35 National Army soldiers were killed in the county. Anti-Treaty veterans’ accounts of the Civil War often claim that their hearts were never really in the struggle. Doyle demonstrates, that in Kerry at least, this is unsustainable. That the republican fighters failed to resist the Free State seaborne landings in Kerry and to hold the major towns was not so much due to a reluctance to fight fellow Irishmen as due to the military limitations of the IRA. Despite having some 1,000 fighters in the county and Free state troops initially numbering only 940, the conventional fighting was brief. Aside from a bloody day in and around Tralee, in which 11 Free State soldiers were killed, there was little enough opposition to the National Army’s occupation of the towns. The Free State Army of 1922 was only slightly more competent than its enemy, but its advantage lay in its formal military structure, which allowed for at least some coordination, supply and planning. The weakness of the Anti-Treaty IRA, as Doyle outlines it, lay in its almost complete inability to coordinate action between different guerrilla units (a maximum of about 70 or 80 men), meaning that it was capable only of small scale guerrilla warfare. It could hope to cut off the Free State troops’ supplies by destroying roads and railways and restrict their movements by ambushing their columns, but ousting them from the county was never realistic after their landings in early August 1922. Even the largest republican operation, an assault on Killorglin in September, was, he says, essentially a raid for arms rather than to re-take lost territory. Doyle concludes therefore that the Irish Civil War was, “a low intensity conflict, with sporadic outbursts and very low casualties”. The republicans in Kerry were still undefeated by September 1922, ranging over large swathes of mountainous terrain and having inflicted around three times as many casualties on the Free State forces as they had suffered. It took, Doyle argues, the introduction of executions, mass arrests and, ultimately a form of localised terror to subdue them. Given that this was the situation, that the war would be decided by whether the Free State managed to get a “normal” government up and running, much depended on the attitude of the civilian population. Doyle argues that the general population, “was largely indifferent to the ideological fault lines of Free State versus Republic”, with the positive result that it was rarely targeted by either side. This is a reasonable conclusion, but there are also intriguing glimpses of civilian alignment in this book. At Fenit, for example, where the first Free State landing in Kerry was made, the locals disconnected a republican mine which would have destroyed the pier and prevented the landing, “for purely apolitical motives (to save their own jobs)” . Elsewhere, Doyle reports that some pro-republican railway workers at Tralee dismantled 14 locomotives to prevent their use to transport Free State troops. The battle for hearts and minds was deemed important enough for the Anti-Treaty forces to forcibly close down the Kerry People newspaper, which they deemed hostile to them. Meanwhile their destruction of the railways and attacks on food convoys appear to have made them unpopular and may have contributed to their ultimate defeat. It might, therefore, have been worth analyzing the relationship of civilians to the conflict a little more closely. If I have a criticism, it is that parts of the book get bogged down in too much detail, cataloguing the circumstances of each casualty, when these are covered in an appendix. This space could have better used to look at some other aspects of the conflict. Also, some of the statistics cited for the war outside Kerry may not accurate – the figures for Dublin for example seem too low in light of what a look at the casualties at one barracks in these months tells us. Having made those minor criticisms, I can certainly recommend this book to anyone interested in the Irish Civil War. Read further reveiws of this series here and here. Written by: John_Dorney on 21 June, 2010.on 20 December, 2011. 3 Responses to "Book Reviews – Mercier’s Military History of the Irish Civil War Series"
History and Military history are totally things that interest me a lot. Thanks so much for sharing information about this book. I need to get myself a copy and start reading about Irish history. I haven’t had a chance to really read up on the struggles and things that they had to suffer.